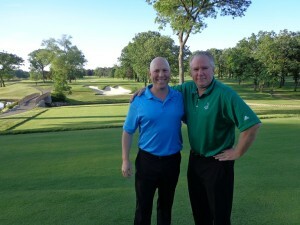 THE GOG BLOG by Rory Spears at Medinah Country Club with Mark Slaby, director of the Illinois Patriot Education Fund. Follow Rory on facebook, Linkedin and Twitter @GogBlogGuy. A special thanks to all our vets who have given the ultimate sacrifice, or live with us today minus a limb or two. Freedom is not free and your sacrifice to this country and your family is appreciated. I hope on this Memorial Day that a few of our vets are out enjoying the game of golf. They deserve a day on the links. I met Mark Slaby about seven years ago through my broadcast partner Mike Munro, as Mark’s golf outing to help the vets was first taking off. With Mark and his wife Dana’s efforts and a team of fantastic volunteers the Illinois Patriot Education Foundation continues to grow. Last year I had the priviledge of playing with a vet who hit some pretty long drives, with the one arm he had remaining. There were some holes where I wish I could have hit it as long and as straight as he did. The IPEF outing is a place where you meet some amazing people. 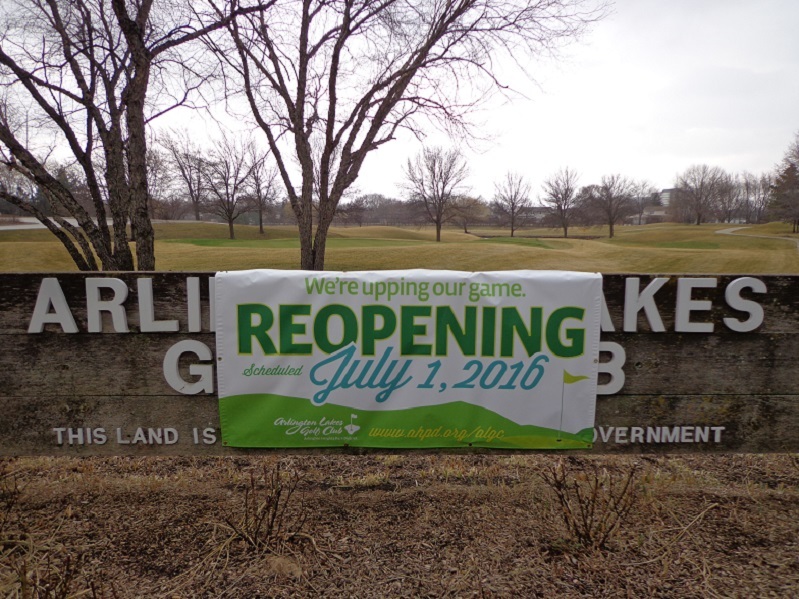 The good news about the IPEF golf outing as the number of golfers participating are continuing to grow. One of these years when Medinah does have all three golf courses open (#2 is now under renovation), I expect Slaby and his team to sell all three courses out. The demand to play in one of Chicago’s top charity golf outings is really growing. Even if you can’t play tomorrow, you can go online and bid on some great prizes, or just send a donation. We can’t forget our vets, not just the ones that just came home from the Middle-East, but the ones from WWII, Korea, Viet Nam as well. THE GOG BLOG by Rory Spears, Editor and Director of Content. Follow Rory on Facebook, Linkedin and Twitter @GogBlogGuy. On the roof of the Harbor Shores Inn over looking the course. Rocco Mediate won the 2016 Sr. PGA Championship at Harbor Shores when he carded a final round five under par 66 that left him at 19 under par, it was enough for 3 shot victory over Colin Montgomerie, and the Alfred Bourne Trophy and a check for $504,000. Montgomerie the two-time defending champion was forced this time to settle for the runner up check of a sum of $302,000. Mediate held the lead all the day, but Montgomerie made a charge and was within one shot for much of the final round. Until a bogey on 14th hole pushed him back to 2 shots. Next up was the Par 5, 15th hole and mediate drove it in the rough, while Montgomerie boldy went down the right side of the fairway just inside the waterline on the right side, but with a perfect line to to for the green in two shots. After Mediate had to lay up, it was Montgomeries turn to go for it and his approach shot left him 15 feet for eagle. Mediate countered with a wedge that left him 7 feet for birdie, after Montgomerie missed the eagle and settled for birdie, Mediate drained his birdie to keep the lead at 2 shots. Montgomerie had a birdie putt on 16, but watched it roll just left of the cup and both players traded pars. Then on the Par 3, 17th Mediate hit first and pushed his drive into a greenside bunker. Montgomerie stepped up and hit the green, but left himself 35-40 feet for birdie. Not the best birdie chance, but par at worse. If Mediate couldn’t get up and down for par, Montgomerie would be right there headed to 18. But Mediate shocked everyone inclduing himself as he holed the bunker shot for birdie, and then Montgomerie could only salvage par and the lead was three, and for all practical purposes the championship was over. On 18 both players missed the green on their approach shots, but got up and down for par. 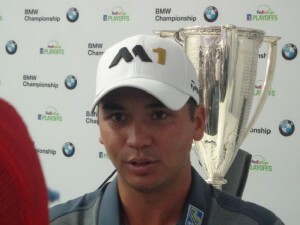 Mediate not only won his first major on any tour, but set the Sr. PGA Championship record by three shots. Beating Sam Snead’s record that had stood since 1973. Mediate had not broke 70 in any round on the Champions Tour all season. Now he has earned himself a bid into the PGA Championship at Baltusrol at the end of July. 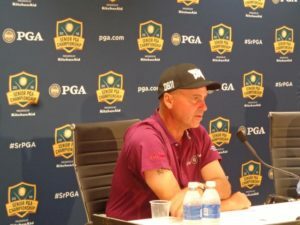 Click here to hear Rocco Mediates championship press conference at the Sr. PGA. Bernhardt Langer shot 67 on Sunday, and at one point was only two shots off the lead but that was close as he could get. 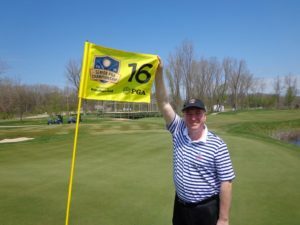 The Senior Club pro champion was John DalCorobbo who is an assistant professional at the Brickyard Crossing Golf Club at the Indianapolis MotorSpeedway. Dalcorobbo shot the lowest score a club has ever shot in the championship. Mistwood Golf Club profressional Brian Brodell was DalCorobbo’s caddie for the week. The 2017 championship will be played at Trump National Golf Club in Virginia and returns to Harbor Shores in 2018. Golfers on Golf Radio standing and seated L-R, is Mike Munro and Stevenson. Rory Spears and Bill Berger. On the at 9 Am Sunday mornings on WSBC Am 1240 Chicago. 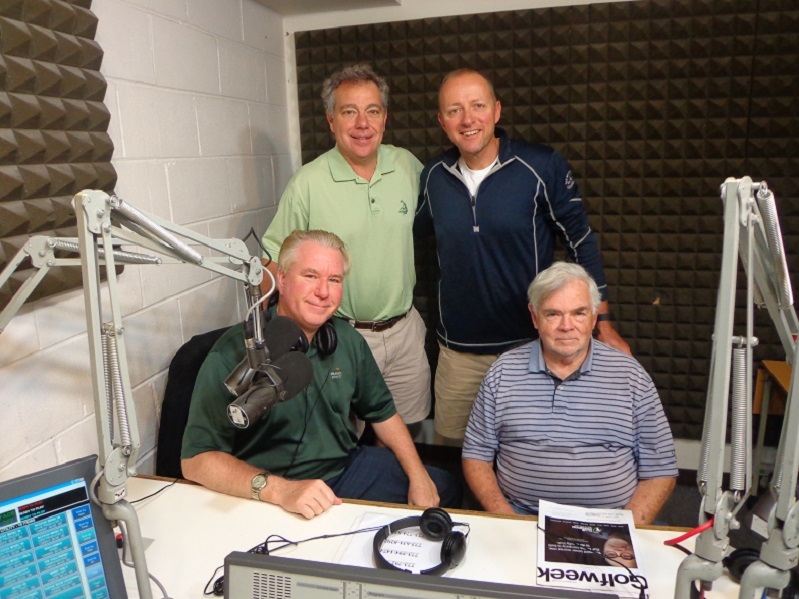 Golfers on Golf Radio is on the tee at 9 AM on AM 1240 WSBC Am Chicago. Your hosts are Chicago’s favorite foursome, Mike Munro, Edt Stevenson, Bill Berger and Rory Spears. This morning we welcome to the program the head professional of the Mt. Prospect Golf Club Brett Barcel. The Mt. Prospect Golf Club reopened last August from a major renovation by Dave Esler, and now has a classic style look to the course, that was built in 1926 which was the classic era. In addition ot the golf course, the Mt. Prospect golf Club has really enhanced it’s practice facilties, get all the details from Brett Barcel just after 9 Am. 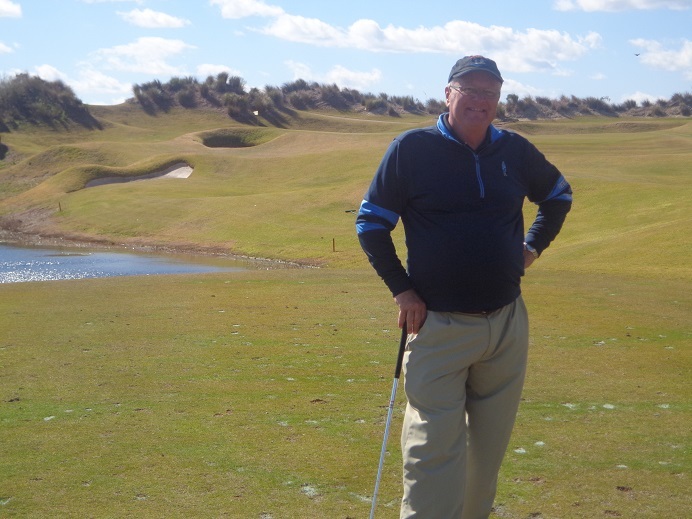 About 9:30 Am the President of the PGA of America Derek Sprague will join us to talk all whats news in the PGA of America. Senior PGA, the PGA Championship, the Club Pro Championship and the Ryder Cup. This year is the 100th year the centennial year for the PGA championship, what’s up for the PGA this summer. We will quiz the president on whats happening for the 100th year of the PGA. 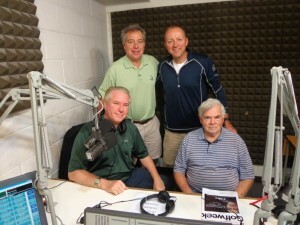 More golf talk about what’s going on in the area, on an exciting week 7 of Golfers on Golf Radio. 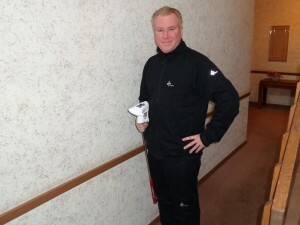 Golfersongolf.com BIG 3 partner Len Ziehm is on the move again with the Ziehm Machine. Ziehm just completed a world tour of some of the Northern Michigan golf resorts and is now at Harbor Shores. Over the past week Ziehm has visited the Boyne Resorts that are celebrating multiple anniversaries. All the way to the Island of Mackinac, and back to the Grand Tarverse Resort, read all about it at lenziehmongolf.com. ILLINOIS is on the comeback trail at the NCAA National Championship in Eugune Oregon. Details in the Am. Stay clicked in. THE GOG BLOG by Rory Spears, Editor and Director of Content. Follow Rory on Facebook, Linkedin and Twitter @gogblogguy. 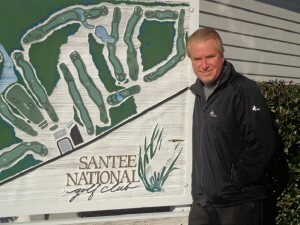 At Santee National Golf Club, Santee SC. The first Illinois PGA Senior Major is in the books, and two young guns in the senior division got past two proven veterans to battle for the title of IPGA Senior Match Play Champion. 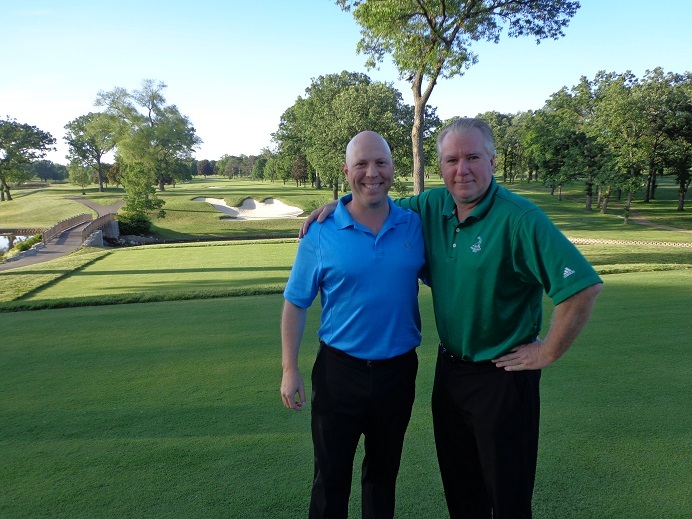 In the end John Platt a teaching professional at the Mistwood Golf Club in Romeoville, defeated Craig Carney the teaching professional at the Bull Valley Country Club in Woodstock by a score of 1 Up. 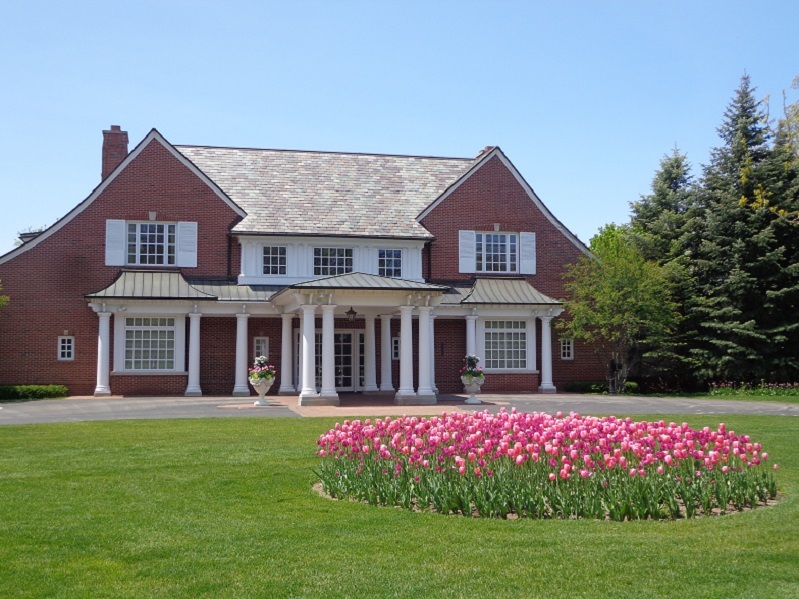 The matches were contested the famed Shoreacres Golf Club in Lake Bluff. Shoreacres is a Top 100 rated Seth Raynor design. John Platt with the championship trophy. Photo courtesy of the IPGA. The matches were played over a three day period. On the third day the semi-finals and then the championship match was contested. In the semi-finals past champions of Senior Match Play were defeated. Carney defeated Jim Sobb of the ivanhoe Club by a score of 1 Up. 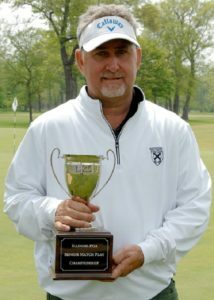 In the other semi-final macth Platt defeated Doug Bauman of Biltmore Country Club by a score of 4 & 3. Then in the championship match, Platt hung on as the match went 18 holes, and end with Platt winning 1 UP. For more details on the 2016 Illinois Sr. PGA match play championship visit IPGA.com. 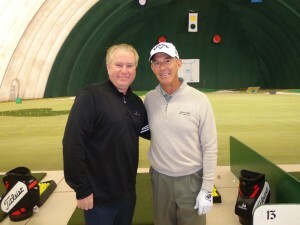 The Gog Blog by Rory Spears (L) with Champions Tour golfer Chip Beck in the White Pines Golf Dome. Follow Rory on facebook, Linkedin and Twitter @GogBlogGuy. It’s always good catching up with Chip Beck, he is one of the most upbeat peopleyou will ever meet. There is never a bad day on the course with Chip, it’s just too bad he doesn’t get to play in more golf tournaments, to media people he can be a real breath of fresh-air. Beck got off to a bad start in round 1 of the Senior PGA this week at Harbor Shores, he carded a 5 over par 76. Druing todays round 2, the birdies started to drop, Beck got to 4 under par and needed just one more birdie to stay for the weekend. Instead what he got was 1 more bogey. He had birdie changes on the last two holes, but that little round ball just would not fall in the cup. beck missed the cut by two shots. It’s falling for Rocco Mediate who after 36 holes is 14 under par and has a 4 shot lead over Gene Sauers who is at 10 under par after a 63 in round 1, on the Par 71 Harbor Shores Golf Course. Bernhard Langer is lurking in third place at 9 under par, along with two-time defending champion Colin Montgomerie and PGA Sr. Club Pro-Champion John DalCorobbo an assistant professional the Brickyard Crossing Golf Club located at the Indianapolis Motor Speedway home of this Sunday’s 500. DalCorobbo has a secret weapon this week, he has Mistwood Golf Club professional Brian Brodell on his bag. Kenny Perry just loves the par 5 fifth hole at Harbor Shores, after an eagle in round 1, he made double eagle in round two. Perry hit a 5-iron from 227 on the 556 yard hole, that he is 5 under par on in just two rounds. Mike “Radar” Reid, last seen in the Chicago area crawling out of Kemper Lakes after his final round collapse in the 1989 PGA Championship, recorded the first Ace of the championship when he holed a 7-iron from 172 yards on thr second hole,his 11th of the day after a back nine first start. Rounds 3 and 4 this weekend at Harbor Shores, with the cut falling at Even par, the lowest ever in the championship. While it’s too bad Beck didn’t survive the cut, our interview with him is now cutup and posted below. Click here to hear our interview with tour professional and Chicago’s very own Chip Beck. One of the best. 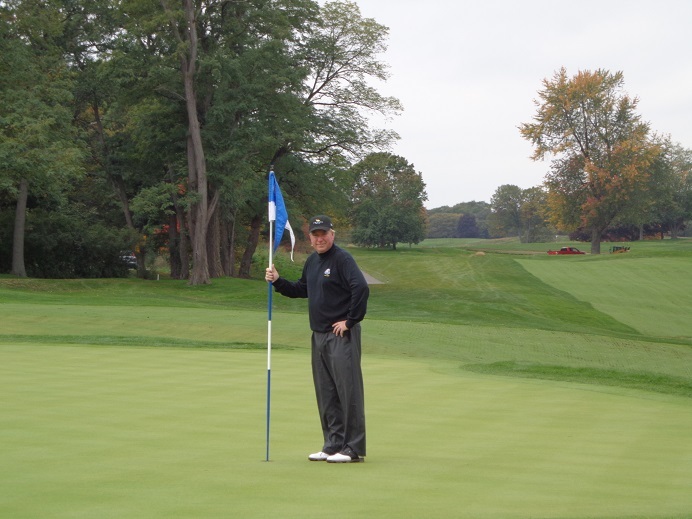 The Senior PGA Championship will be shown this weekend on the Golf Channel and NBC, for times see local listings. THE GOG BLOG by Rory Spears, Editor and Director of Content. Follow Rory on Facebook, Linkedin and Twitter @GogBlogGuy. On the 16th hole at Harbor Shores Golf Club. 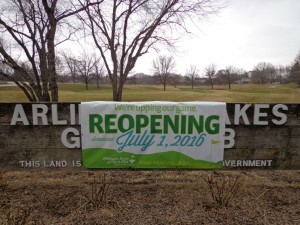 The PGA of America and the Kitchen-Aid company of Benton Harbor Michigan announced the step in their partnership on the First-Tee of the Harbor Shores Golf Club on Wednesday afternoon. 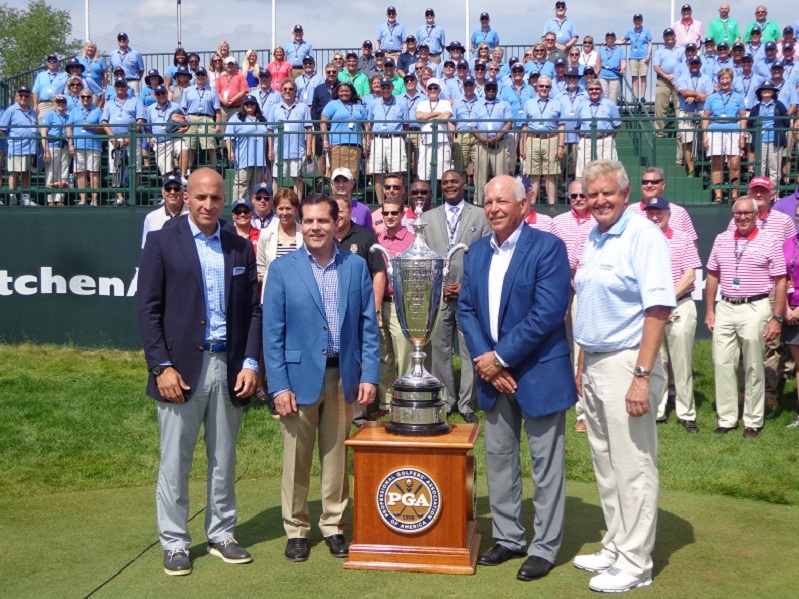 Kitchen-Aid President Jeff Fettig and members of the PGA, along with two-time defending Sr. PGA Champion Colin Montgomerie stood together to make the announcement. First up Kitchen-Aid goes from a presenting sponsor to a full title sponsor, and extended the agreement until 2024. The purse will go up for the players which made Montgomerie a happy bunny as he likes to say. The Sr. PGA will now be played at Harbor Shores in 2018 and as part of the new agreement also in 2020-2022-2024. Click here to hear the announcement and then additional interviews with PGA CEO Pete Bevacqua and Jeff Fettig Chairman and CEO of Whirlpool Corporation the parent company of Kitchen-Aid. There was no announcement made about where the 2019-2021 and 2023 championships would be played. fettig told Golfers on Golf that the PGA of America would decide the venues for those years, and Kitchen-Aid would have no objection to the championship being played in the Chicago area. With Olympia Fields and Kemper Lakes scheduled to get a KPMG/PGA/LPGA championship in 2017 and 2018, the next step for one or both of the clubs could be a Sr. PGA Championship. NBC Sports and and the Golf Channel will continue as broadcast partners of the championship. Current NBC coverage is seen in 123 countries and territories, and more than 262 million households. This year the players will compete for the Alfred S. Bourne trophy and a first place check of $550,000. Colin Montgomerie is going for his third straight win in the championship. THE GOG BLOG by Rory Spears, Editor and Director of Content (L), follow Rory on facebook, Linkedin and Twitter @GogBlogGuy. 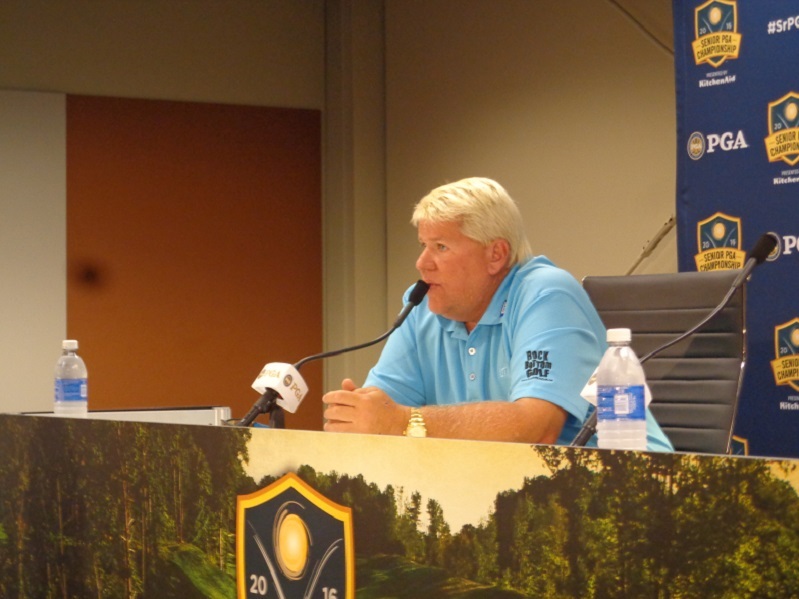 (R) John Daly meets the press at the 2016 Senior PGA Championship at Harbor Shores, presented by Kitchen-Aid. Tickets for sale on site or via PGA.Com/Srpga. Colin Montgomerie is the defending champion. The 2016 Sr. PGA Championship at Harbor Shores. He wouldn’t be John Daly if there wasn’t some kind of excitement following him around. Wednesday at the 2016 Sr. PGA Championship Daly was out playing the Harbor Shores golf Course for the first time. The fans on hand were anxious to see Long John hit the “Big Stick” and for their enjoyment he did. After his practice round Daly joined the media to talk about his transformation to the Champions Tour and Senior Golf. One hint ! he is excited about it. In recent years Daly hasn’t gotten into as many tournaments as he wanted to play, now on the Champions Tour he will have a regular schedule. Daly says after having a knee drained a few months back, he is as healthy as he can be. He admits there about 6-7 holes on the Jack Nicklaus designed course that “don’t fit his eye” so he does not have big expectations for this week. But will try and make as many birdies as possible. Click here to hear John Dalys press conference at the Senior PGA Championship. 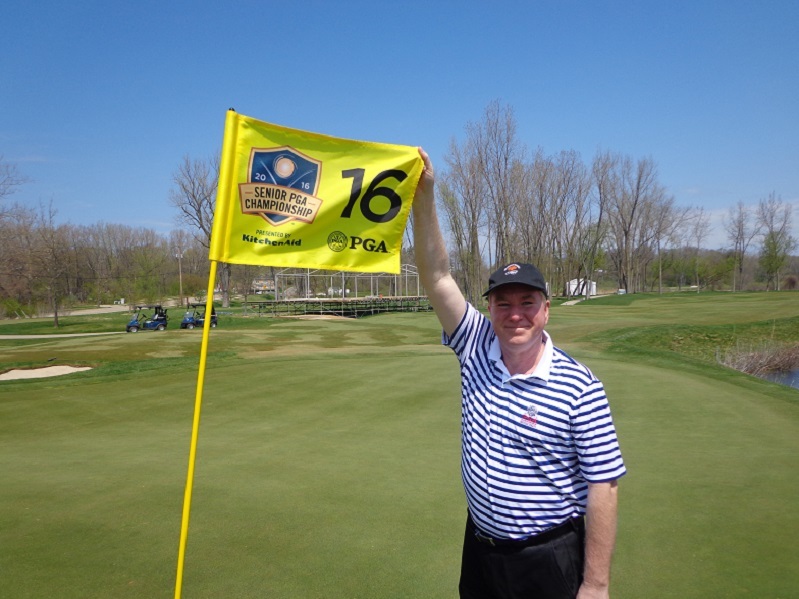 For more information on the Senior PGA Championship all week long, stay clicked in right here. 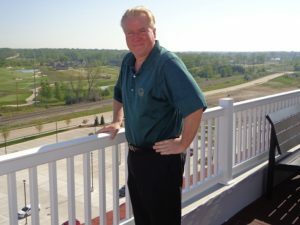 The Gog Blog at Orchard Lake Country Club in Michigan, by Rory Spears, Editor and Director of Content. Follow Rory on facebook, Linkedin and Twitter @GogBlogGuy. The Red Run Golf Club in Royal Oak, Michigan will host the 99th playing of the Western Junior Championship from June 20-23. The championship which was first held in 1914 will have a full field of 156 players for this years championship. The championship was not contested in the years of WW I and WW II. Over the years, the championship has seen several golfers that participated in the tournament, go on to successful professional careers. Past champions include Rickie Fowler, Hunter Mahan and Jim Furyk. Tiger Woods, Phil Mickelson and 2015 PGA Tour Rookie of the Year Award winner Daniel Berger have played in the championship. 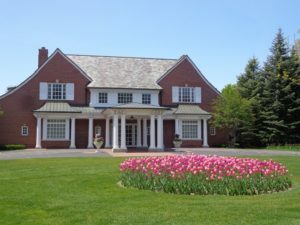 The Western Junior is the oldest national junior championship in the country, it was last held in Michigan in 2005 at the Blythefield Country Club, and was won by Fowler. This years championship field includes several top high school players, including Kaito Onishi of Japan, and has made an oral committment to play at USC. Andrew Kozan from Florida (Auburn recruit), future North Carolina Tar Heel Ryan Gerard, and Harrison Ott of Wisconsin, who will play college golf at Vanderbilt. Red Run was designed in 1914 by Tom Bendelow and redesigned by Willie Park Jr. in 1916. Many of the games greats have played there over the years, including Arnold Palmer, Ben Hogan, Sam Snead and Byron Nelson. The club hosted the 1958 Western Open and the Motor City Open in 1951-52. For more information on the championship, please see Wgaesf.org. THE GOG BLOG by Rory Spears, Editor and Director of Content, Follow Rory on facebook, Linkedin and Twitter @gogblogguy. Wearing the Cross Golf rain and all purpose suit. WE ARE GOLF on May 18th went to Capitol Hill in Washington D.C. for the 9th annual National Golf Day. This event gives some of the games biggest associations a chance to speak about the games $70 billion dollar economical impact on our nation. The game of golf also gives back to the amount of over 4 Billion in charity dollars every year. During the time on Capitol Hill golf industry leaders met with Members of Congress, the Excutive Branch and several federal agencies to speak of the two million jobs that are impacted by golf. All during the day organziation members share stories about the over 15,000 businesses tied to the game. One in every 75 jobs in America is impacted by the golf industry. Among this years We are Golf traveling party was 2016 Ryder Cup Captain Davis Love III, Steve Stricker, and LPGA Hall of Famer Nancy Lopez. 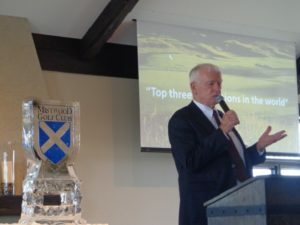 The organziations that particpiated were the Club Managers Association of America, Golf Course Superintendents of America, the LPGA, the National Golf Course Owners Association, the PGA, the PGA Tour, the USGA, the United States Golf Manufacturers Council, World Golf Foundation and others. Members of congress were treated to golf lessons and participated in golf contests including a Democratic vs Republican putting challenge. For more infomration on WE ARE GOLF and National Golf Day, go online and visit wearegolf.com. You can show your support for the golf industry and national golf day by using #NGD16 and tag @wearegolf on Twitter. THE GOG BLOG by Rory Spears, Editor and Director of Content. Follow Rory on Facebook, Linkedin and Twitter @GogBlogGuy. At Harbor Shores Golf Club, home of this weeks Sr. PGA Championship. You have heard the call before and this week you will hear it again. Monty for 3, yes !. Well I’m not sure if Colin Montgomerie will win his third straight Senior PGA Championship, but he will be going for the the Three-Peat. “Monty” broke through for major #1 at Harbor Shores in 2014, then he won it again in 2015 at the French Lick Resort on the Pete Dye Course. Now it’s time for the return trip to Harbor Shores. There will be a full field at the Jack Nicklaus designed Harbor Shores Golf Club trying to keep Monty from taking home the big trophy again. But can they do it, I’ll be up at Harbor Shores a few times this week to see the action, so keep it clicked in right here for the updates. Tickets are available and not costly, buy them on site and Harbor Shores is only a two hour drive from Chicago, take a drive up and enjoy the championship. 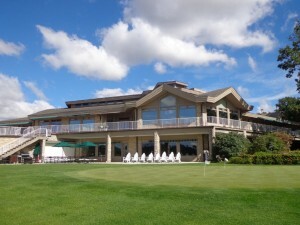 The Clubhouse at Ivanhoe, home of the Rust Oleum Championship. I had a chance to play Ivanhoe Golf Club this past Monday as part of the upcoming Rust Oleum Championship the week of June 6-12. The Web.com players should enjoy the golf course. Ivanhoe has three nines, and the Forest Nine will be used in full, the other nine holes will be comprised of the Prairie Nine and the Marsh Nine. The 18 hole routing will be of the clubs original 18 holes, before the club was expanded to a full 27 holes. The greens were rolling quick already and should be fatser in three weeks, and the superintendent and his crew have a thick deep rough groomed through out the golf course. It was nice to catch up with Michael Schachner who grew up at Ivanhoe as his family were members of the club, Schachner has been given an exemption into the championship and will be the home club favorite. Nobody will know that golf course better than him. Jim McWethy talks about his Mistwood Golf Club during the grand Opening week earlier this year. There are some clubs that just it get it right, and others not so much. But I have to hand it to Jim McWethy owner of the Mistwood golf Club, and his staff for putting together a nice day this past week at the club. 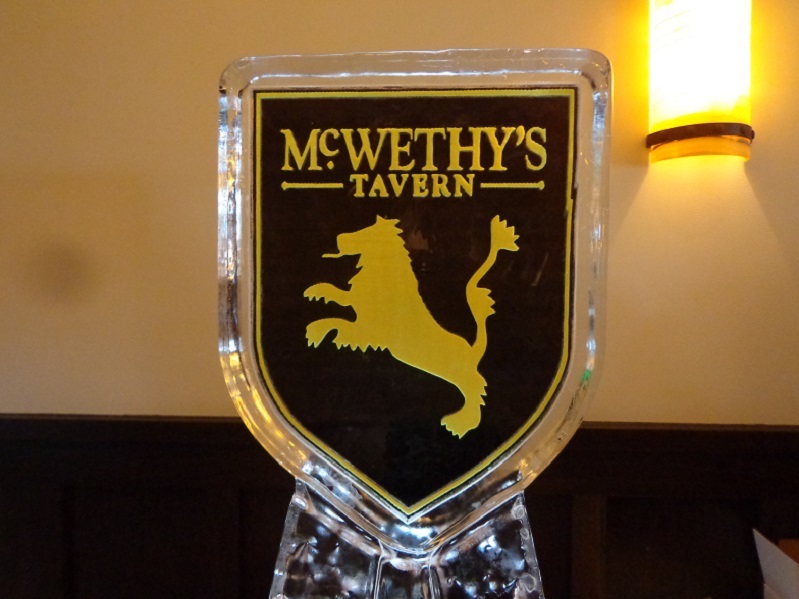 The last 5-6 years have been taxing on McWethy and everyone associated with Mistwood. 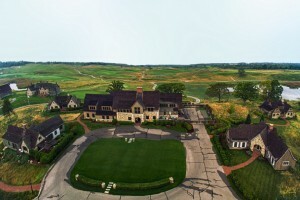 The three phase renovation of Mistwood that included a golf course, a practice range and a performance center, and then finally a new clubhouse. The Phil Kosin Illinois Women’s Open has never been in better hands and the players should enjoy it. The Par 5, 3rd hole at Mistwood Golf Club is a Half-Island Green. The Mistwood ownership and staff including Dan Phillips, organzied a media but non-media day for members of the press to come out and see Mistwood in advance of the IWO. These No-Work and All-Play days are something that don’t happen often enough. What our group got to see was for the most part the finished product of Mistwood and I can say this, it got finished up pretty well. 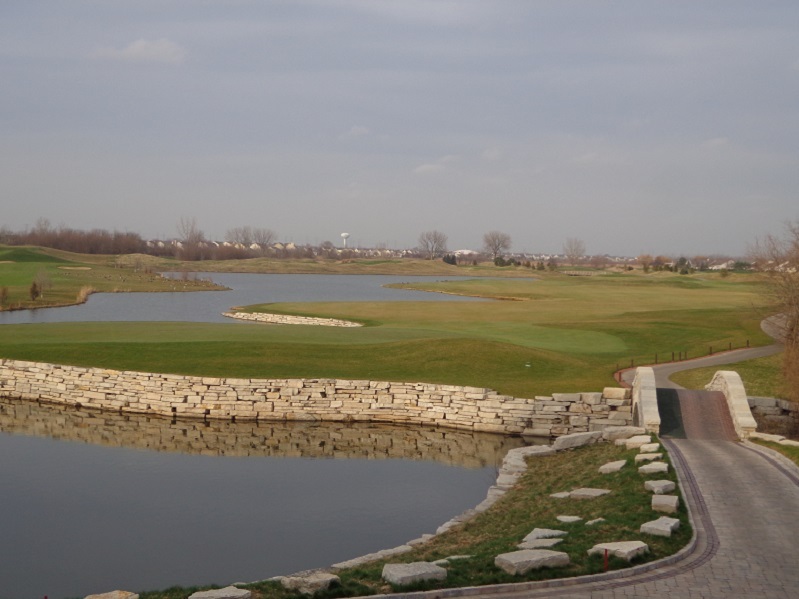 Mistwood is now one the best golf facilties, not only in the Chicago area but anywhere in the State of Illinois. Any state would be happy to have a Mistwood Golf Club on it’s public course golf list. If you havenever not been out to play Mistwood, or haven’t been to Mistwood in the last few seasons, you owe it to yourself to try Mistwood. 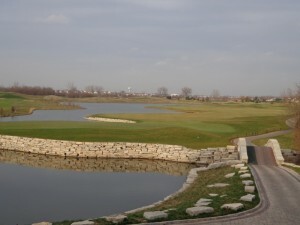 Mistwoodgc.com (815)-254-3333. THE WEATHER finally looks more and more like golf season, so get out and play. I’m awaiting some new clubs to arrive and anxious to get out and play them when they get here. THE HIGHLIGHT of crawling along the Eisenhower in route to and from White Sox games has been getting to look at the renovation project going on at Oak Meadows in Addison. Oak Meadows part of the Dupage County Forest Preserve District is really putting together a first class golf course, under the direction of Greg Martin. The next time your stuck in traffic on 290, check out Oak Meadows, it’s starting to come together. Next May can’t get here fast enough. With that it’s off to the Senior PGA at Harbor Shores, tournament golf is back, and the Gog Blog returns tomorrow. Stay clicked in.